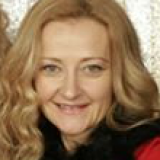 A couple of weeks ago, I had the pleasure of interviewing our long-time client and Sproat Lake real estate expert Dave Koszegi in our first "live" Hangout on Air. 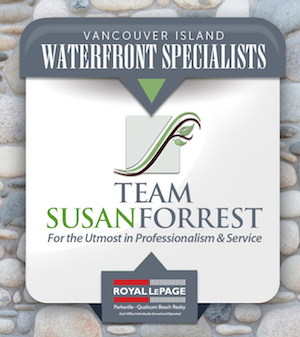 The interview is a very in-depth look at lakefront property on Sproat Lake, Vancouver Island. Dave and I really got into the details of the market including discussing different neighbourhoods on the lake, boat access only cabins, recreation, average prices and the current market for real estate on Sproat. I have embedded the full-length video interview below with direct links to different chapters so that you can skip to your areas of interest. For those of you who prefer to quickly read the details, I have included a synopsis of the pivotal parts of the interview in the blog below. Here you can also find detailed real estate sales statistics for lakefront properties on Sproat and links to Dave's current lakefront "deals" on our site. Update Aug. 2015: Attached deals are no longer valid as the original post was created in 2013. First off, here's a little information about Sproat Lake. Sproat is located 13 km northwest of the city of Port Alberni (population approx. 17, 000), which is located in the south-central heart of Vancouver Island mid-way to Tofino and Ucluelet. Port Alberni has historically been a fishing and logging community and enjoys the benefits of having both ocean frontage (it is located on a deep-water inlet leading from the Pacific side of the island) and lake frontage on Sproat Lake. Sproat is a large lake offering warm water swimming in the summer and a plethora of recreational activities including waterskiing, fishing and lounging around on your waterfront deck with a Margarita and some appys (my personal favourite). Now that you know a little about Sproat, I will go directly to a synopsis of the Q&A with Dave. Please keep in mind that this is just a summary of Dave's answers and we are not including the entire details of the video interview here. Taylor Arm: Quiet area of the lake. Features mostly recreational cabins and lots that have road access. Dog Mountain: Quiet area as well. Features boat access only cabins and lots. Stirling Arm Dr and Faber Road: Busier and more populated areas of the lake closer to town. Stirling Arm Drive features many estate sized lots and expensive large homes (although these can be found on other areas of the lake as well). Click here to view this discussion on the video including the map of the lake so you can see these areas. There haven’t been any sales at Taylor Arm this year. Waterfront lots or small cabins on Taylor Arm generally start at $300,000. The Dog Mountain area of the lake is where the majority of the boat access only cabins are located. The time to get to this area by boat (about 7 minutes for a fast-run trip) is surprisingly short which makes it an attractive option for those seeking to really get away from it all but without having too much of a commute. There was a forest fire in the Dog Mountain area this summer which unfortunately resulted in no sales there this year. The fire is now history and fortunately only one property was burnt down and the rest were unaffected. Sproat lake living offers many recreational opportunities. Swimming and other fun lake activities (ski-bob anyone?!) are popular from June-September; however, Dave and his neighbours have a competition to see who can take a dip in the lake the latest in the year. So far, October seems to be the limit, but I'm sure that it's not a leisurely dip at that point! Fishing is also popular, without rainbow trout being the main attraction June-September. Fishermen here can also enjoy freshwater fishing in the nearby Somas River or salt-water fishing in the Alberni Inlet. It's definitely a fisherman's haven! There are 4 Provincial Parks bordering the lake offering a variety of hiking trails, beaches and campgrounds. Sproat Lake Provincial Park is also recognized for it's Petroglyphs (ancient rock carvings of marine creatures). While waterfront sales in BC were booming in 2006-2007, the recession of 2008 in Canada hit the waterfront and luxury real estate markets in many small towns in British Columbia hard. 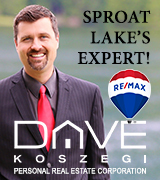 Dave says that Sproat Lake was not immune to the effects of the recession but that many of the buyers interested in Sproat Lake property are local so it has not been hit as hard as some other communities. Still, Dave says prices are down as much as 35% in some cases and that there are some "deals" out there. Dave and his team have had a busy summer with quite a few lakefront sales this year. He says the waterfront buyers are still out there ready to purchase, which is unusual for this time of year. This follows the general trend we have seen in Canadian real estate this year of higher fall sales while buyers rush to nail down mortgage rates before they rise. Video discussion of market conditions - Oct 2013. Market conditions are improving overall for single family dwellings. Our development project which we’ve had for sale for a number of years at the Klehkoot Marina is currently 80% sold out and we will have some new homes on some of those lots in the spring. We look forward to offering those for sale. As summer rolls up, we still have buyers looking. We have two more pending sales and are optimistic there will be a few more this year yet. We expect 2016 prices to continue to stabilize. In closing, Dave mentions some properties he feels are good deals right now. The full interview features many more details about Sproat Lake real estate (including entertaining anecdotes about lakefront living), but for now we will leave you with the cold, hard facts. The statistics below show the sales of single-family dwellings on the lake from 2011-2013 and lots back to 2006 (sorry for resolution). Stats and photos for this post provided by Dave and his team. If you'd like to view other properties available for sale on Sproat Lake listed on our site, please click here. Thanks again to Dave Koszegi, Randi Clayton & the rest of the team for making this happen!